Tutorials for Macintosh OS X. And stuff. Do you feel that the universe is eternally recurring across time and space? Do you sometimes feel that time is not linear but cyclical? Do you believe in deja vu? déjà vu? Didn’t you just ask me that? 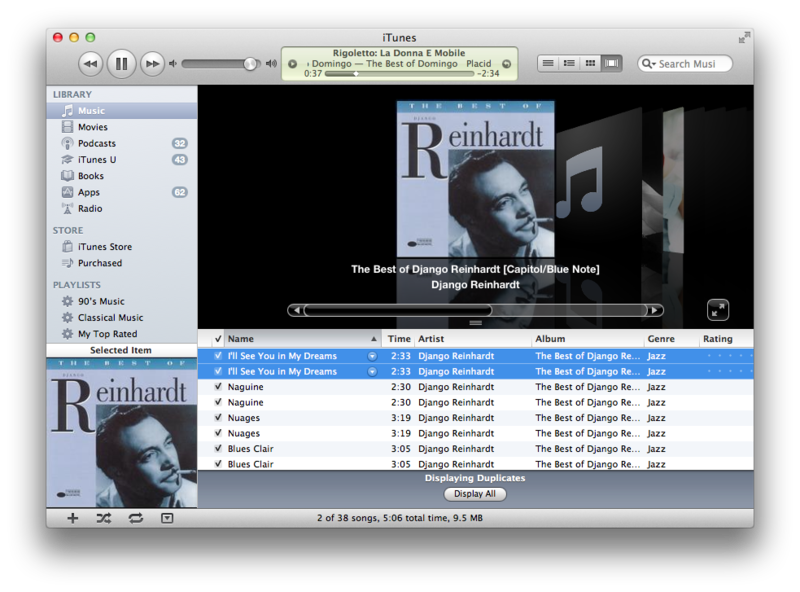 Perhaps like me, you feel having duplicates songs in iTunes is annoying as hell. Or did you just suddenly realize that iTunes is playing a song it just played 10 minutes ago? 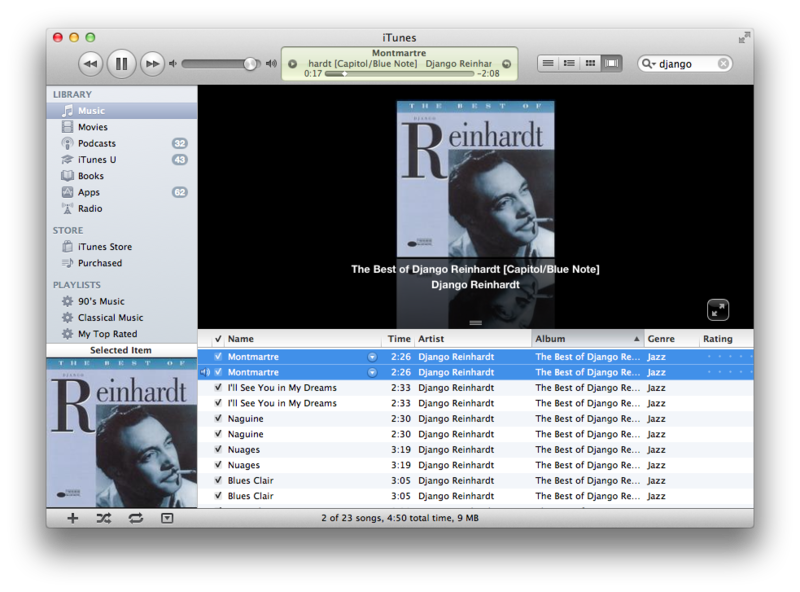 It may be that your iTunes library contains duplicates that you need to get rid of. You could accidentally imported an album twice or a song belongs to separate collections that you both added to your library. You might not want to have a song appearing more than once in iTunes. Probably you feel that it’s taking up too much disk space on you computer or in the iPod your iTunes syncs with. Or you just don’t want it playing over and over, devouring its own tail for all eternity. Whatever the reason, the duplicates just annoy the hell out of you. How do you remedy the situation, this Nietzschean dillema? You may want to manually check your song list for duplicates or you can try a simple command you can access from the iTunes menu bar. 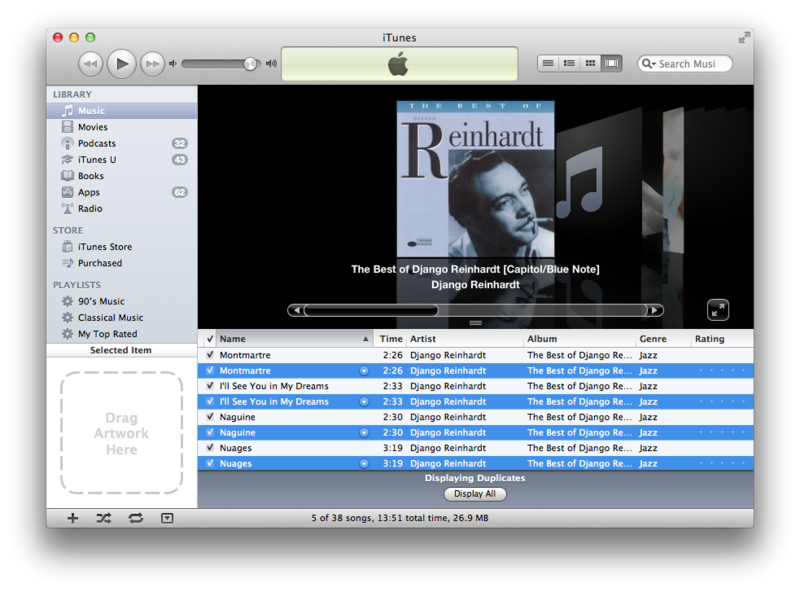 The iTunes app has a quick and simple way of finding duplicates. In iTunes, click File in the menu bar, then click Display Duplicates in the dropdown menu. The iTunes app will now show you the duplicates. The iTunes app can show you duplicates in your iTunes library. The process is not perfect in that it might identify non-duplicates as duplicates. Don’t worry. You will still have to manually delete the files after iTunes has identified the possible duplicates. If you are sure that a song is a duplicates, you can delete it by clicking the song and pressing the delete button on your keyboard. If you want to select multiple songs to be deleted, use Command + Click to select songs. 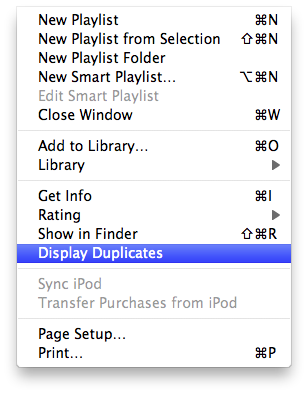 Select duplicate songs in iTunes by pressing Command + Click. Delete songs by pressing delete on your keyboard. 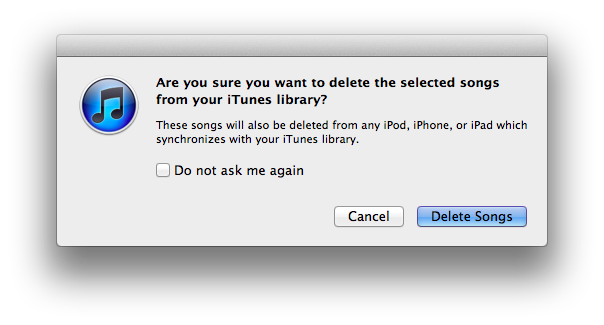 Whether you are deleting one or more songs, iTunes will ask you to confirm that you really want to delete a song. Click the Delete Song button in the dialogue box to confirm. Deleting a song in iTunes doesn’t automatically remove it from your computer’s iTunes media folder. But iTunes knows that you might want to get rid of that, too, so it will immediately ask you if you want to remove the duplicate songs in the iTunes media folder. Click move to trash. To remove from your Media Library, click the Move to Trash button. And you’re done. You’ve just located and removed duplicates song in iTunes. Let me know what you think of this article in the comments section. Are you upgrading to iOS7? Apple announces iOS, OS X features, Macbook Air, Macbook Pro. Are you happy?